THESE FUN & SWINGY DANGLE EARRINGS are terrific for dressy or casual wear. Created on surgical steel ear wires with coordinating accent beads. These earrings are approx. 2" long and are sure to make a statement! 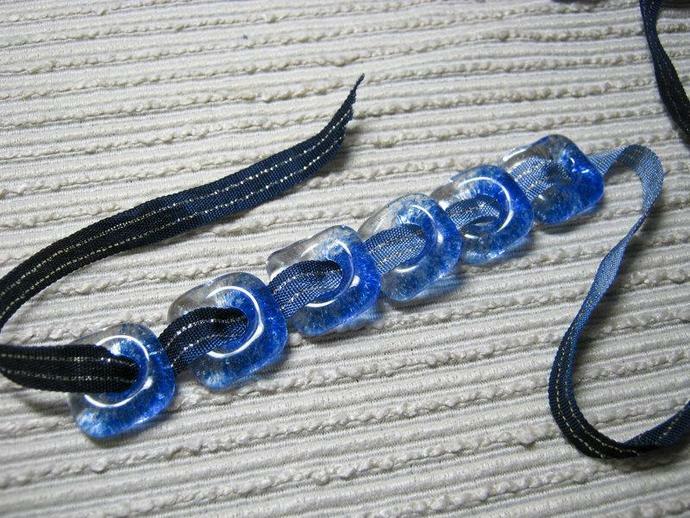 THE GLASS DONUT CIRCLE BEADS are handcrafted by layering transparent clear, and blue glass frit into a mold and then melting to 1425 degrees in a glass kiln. 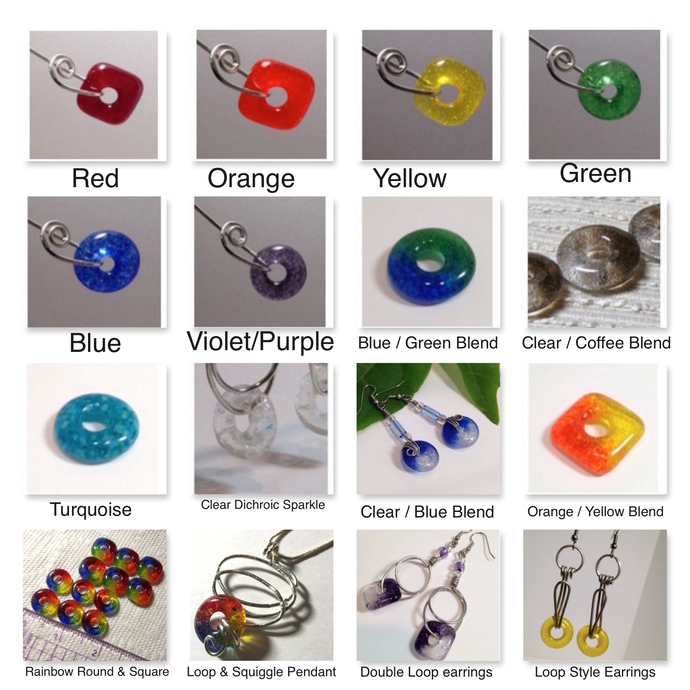 You may order your earrings with CIRCLE or SQUARE beads and in additional colors. Please note that "Made to Order" earrings may take up to a week to create and then allow for shipping-typically 3-4 days (First Class).